Every day, there are millions of social media users posting photos about the brands and products they love. So much so, that peer recommendations on social media have become the modern day word-of-mouth. It comes as no surprise that brands have turned their attention to social media as one of the most vital channels to successful marketing. Just creating a brand account and posting branded content to social is not enough. In fact, poor social media efforts will hurt your brand rather than help build a stronger brand and relationship with consumers. Given the importance of peer recommendations and the popularity of social media, a widely asked question among marketing teams has been: How do we get people talking about our brand online? The fastest way to increase customer engagement on social media is through contests and campaigns. Photo and video contests are a powerful way to give your fans and customers a reason to submit great content and share it with their own social communities. Don’t be afraid to think outside the box, and come up with clever and engaging campaigns. Encourage your audience to have some fun and get creative. Pro Tip: Celebrate your customers in your brand’s owned media and you will dramatically increase brand awareness/lift. Get the most out of those already promoting your brand organically! It’s a symbiotic relationship—you validate your consumer and they validate your brand’s social presence. 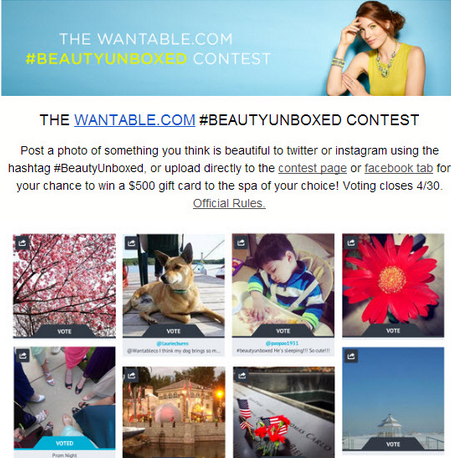 The email-ask is a great channel through which to ask customers to submit photos of their experience with your brand. Give out prizes! Customers love the chance to get free swag and are much more likely to post content when they have the chance to win rewards. 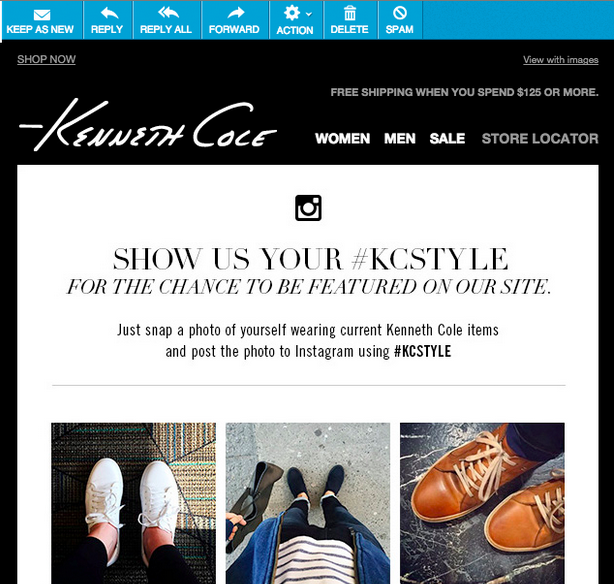 You can also use an email blast to direct traffic to your customer photo galleries on your owned media. It’s a great way to inspire potential customers and compel them to take an active part in your brand or campaign. Pro Tip: Put your evergreen hashtag in all of your email signatures. Whether they are customer service emails, marketing blasts, or sales emails– make sure that when people interact with your business, they see your branded hashtag. Post aggressively on your social media channels and create two way conversation between your brand and customers; engagement is a two-way street. To make sure your program succeeds, pay close attention to customer content and make an effort to “like” and “comment” on all positive submissions. When customers see brands engaging with real people, it helps to validate your brand’s social presence and reach a larger audience. Pro Tip: Find and leverage your key influencers. 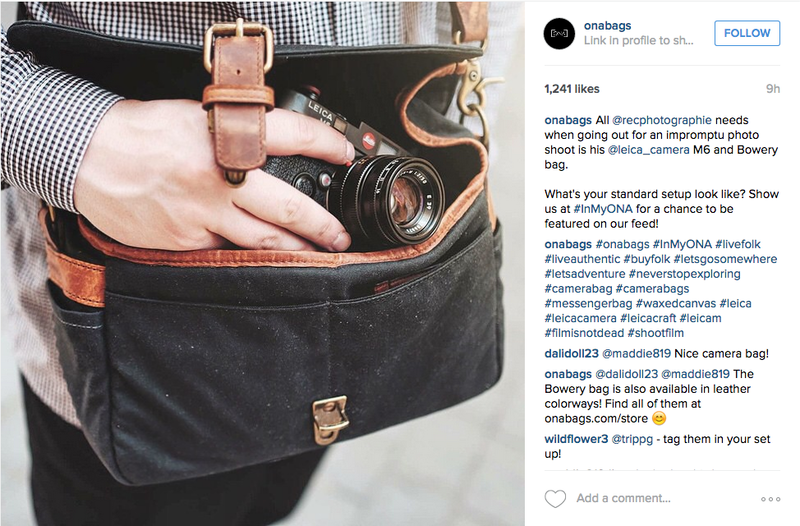 Social media influencers can create a peer-to-peer megaphone of online brand endorsement. When you find and leverage your best ones, you reach not only their audience, but their audience’s network as well. There’s real value in engaging your customers with your brand on social media. It’s one of the easiest ways to increase brand awareness—but the value add doesn’t stop there. Businesses that use user generated content on their owned media see higher conversion, click-through rates, average order values, and engagement.